TOKYO - Six Molotov cocktails were flung into a bustling summer samba street festival in Tokyo on Sunday (Aug 7) night, wounding 15 people including a one-year-old girl. The casualties suffered light burns to their hands and feet. None of the injuries is considered serious or life-threatening. 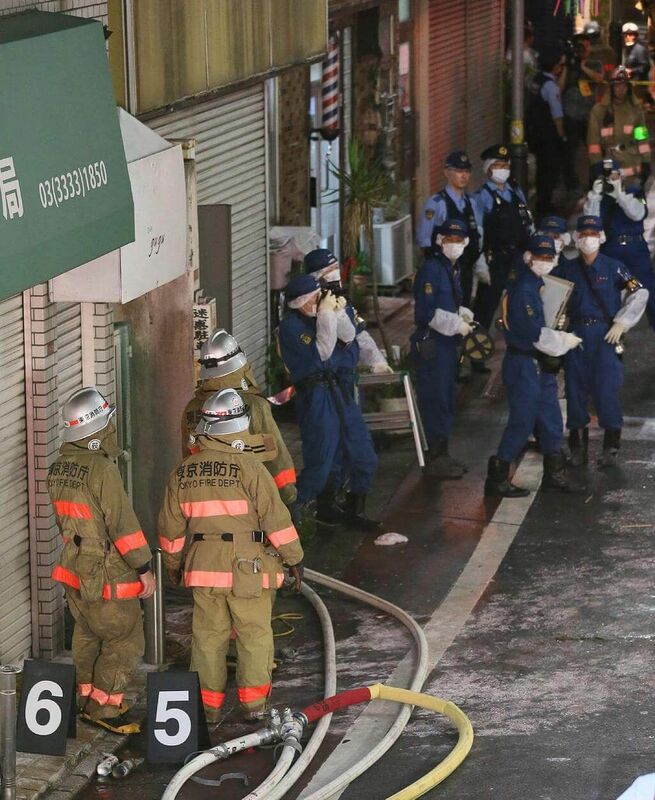 The suspect, a man in his 60s, fatally hanged himself in his third-floor apartment after carrying out the attack at about 7.30pm in Suginami ward in western Tokyo. Police plan to search his residence on Monday. The six bottles - which police have confirmed are Molotov cocktails - contained flammable liquid. Some were apparently attached to gas cylinders. They burst into flames as high as 2m when they hit the ground, eyewitnesses said. A firefighting crew extinguished the fires within 90 minutes. An Asahi News report quoted neighbours as saying the man had complained in recent weeks that such street festivals were "noisy and disgusting". Mr Kenji Yoda, 58, who was protecting the samba troop at the end of the parade, told The Japan Times: "I looked up at the residence and saw the man holding a bottle and a gas burner." He added: "He disappeared soon afterwards. I knew him. He was usually quiet and never caused any trouble." National broadcaster NHK quoted an unnamed man in his 30s, who was at the festival with his six-year-old son, as saying: "At first I thought the festival decorations had caught fire, but I then saw the bottles raining down from a third-floor apartment. "Everyone was running away in the confusion. It's a huge pity that such a thing had to happen at a peaceful, fun occasion." Mr Kunio Nagai, chairman of the Fujimi Hill Shopping Association, told NHK that he was in shock, as this was the first time such an incident had happened in the festival's history.